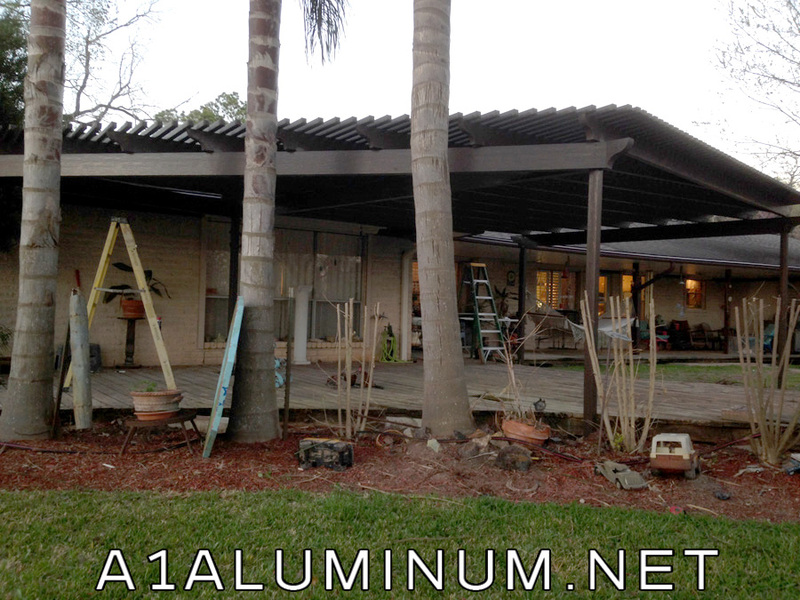 On this job for Mr. “W” we tore down an old wooden lattice pergola infested with bees! Fun Times, lol. 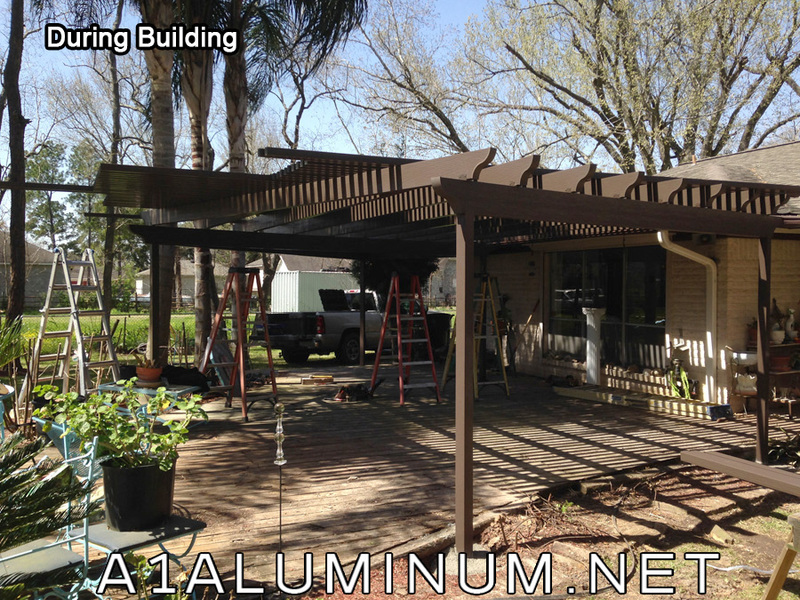 We then gave him 400′ sf of Aluminum Ultra Lattice (Spanish brown) approximately 20’x20′ and later added an additional 10’6″x20′. The first picture is during the building phase.